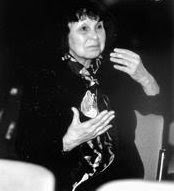 'The more one listens to Sofia Gubaidulina's music, the less one likes it. Such disenchantment comes, it should be added, from hearing it in quantity. Performed in isolation, her works often give the impression of stark originality. However, placed end to end in this year's BBC composer weekend, they revealed startling limitations of emotional range' writes Tim Ashley in today's Guardian. Fine, but is it the fault of the composer? Or is it the fault of the BBC for opting out of imaginative programming, and instead choosing the easy, and fashionable, option of the musical equivalent of area bombing? The Russian's are currently in the BBC's bombsights, and a Tchaikovsky Experience is launched on Sunday. Yes, you guessed it right, it includes every note written by Peter Ilyich.